“ The real role of leadership in education … is not and should not be command and control. The real role of leadership is climate control, creating a climate of possibility." "It's too overwhelming to look up the mountain and see how far we have to go" my wife said, as we were enjoying a Valentine's Day hike this past Friday. "I'm just going to focus on the next step in front of me." She continued to lead the way up the hillside when about five minutes later she exclaimed, "Uh, oh. Where did the trail go?" 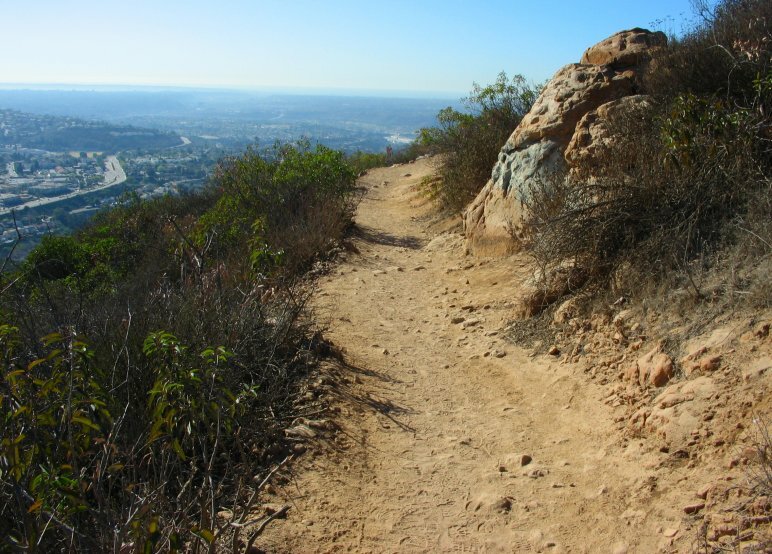 Because she had been looking down at her feet, glancing ahead just one or two steps, she had missed a small directional sign indicating the trail turned to the left. She had started down a path that would have taken us off course. Fortunately we caught our mistake quickly and got back on the proper trail. It's easy to miss the directional signs along our leadership journey. We think we're leading our team down the right trail, only to look up one day to find ourselves wandering aimlessly down the wrong path with no one following behind. 1. Know your destination - This tip seems like a no-brainer, but many leaders neglect to formulate a clear vision of where they want to go, either individually or with their teams. To keep your leadership journey on course, develop goals to guide your efforts. Personally, I like to have 3-5 key priorities for my team each year along with a "theme" or rallying call to focus our efforts. On a personal level, it's critical to have a clearly defined leadership point of view (LPOV). Your LPOV describes who you are as a leader, identifies the key values that drive your decisions, and explains your beliefs about motivating and leading others. 2. Map your journey - Once you know your destination, you need to map your journey to get there. If we were taking a long car trip in the old days (like 15 years ago), we would have to pull out a map, examine the various roads, use a ruler to measure the distance and calculate our travel time before we even hit the road! Nowadays, our GPS or travel apps do all the work for us. Unfortunately, mapping our leadership journey is more like the old days; it takes work. Create a plan, schedule milestones, have quarterly review meetings...whatever it takes to keep you on track, do it. You don't want to miss the directional signs along the way. 3. Make course corrections - There are few guarantees in life, but here's one: change. The question is not if you'll need to change, but when. You're going to have to make course corrections to keep your leadership journey on course, and one of the best ways is to plan for it. Build in regular occurrences to review your leadership goals and make adjustments as needed. Focusing only on the steps ahead, as my wife and I did while hiking, is an effective strategy for breaking down a large goal into smaller ones, and it keeps you from getting overwhelmed by the immensity of your task. However, if you don't periodically look up from your journey to assess where you are in relation to your final destination, you run the risk of wandering off course. 2013 was a year of hype for MOOCs (massive open online courses). Great big numbers and great big hopes were followed by some disappointing first results. 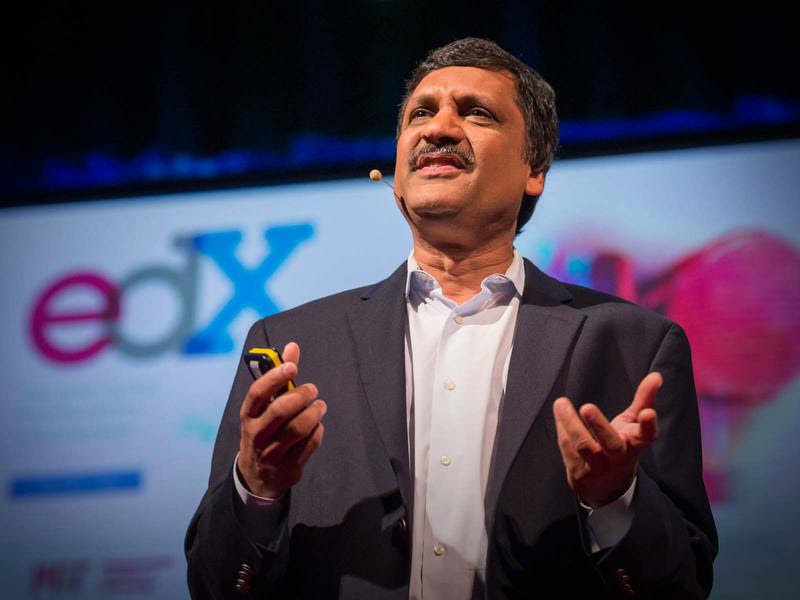 But the head of edX, Anant Agarwal, makes the case that MOOCs still matter -- as a way to share high-level learning widely and supplement (but perhaps not replace) traditional classrooms. Agarwal shares his vision of blended learning, where teachers create the ideal learning experience for 21st century students.